I am SO SO excited about this new project of mine…. Anybody who knows me well, knows I love the colour (or shade if we are being particular) GREY! It is my absolute favourite go to for Interior Design. Whilst some designers use beige or taupe as a base colour I prefer all shades of grey… and not the 50 kind either 😉 for those whose minds go straight to the gutter. 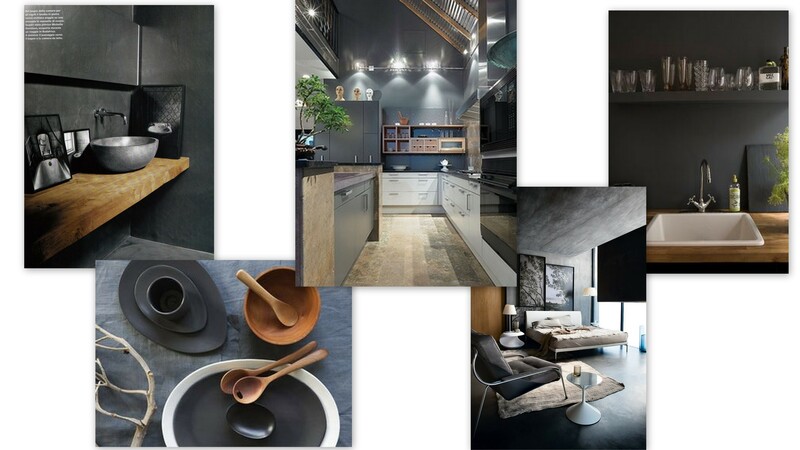 I created this latest inspiration board to help give a couple I am working with an idea of just how AMAZING grey can look when teamed with their trims wood and black tiles! Grey doesn’t always have to be dark either… Lighters shades are just as beautiful, However if you have a grand space, you CAN afford to use dark shades as they create the feeling of warmth in an otherwise “overly large” room….